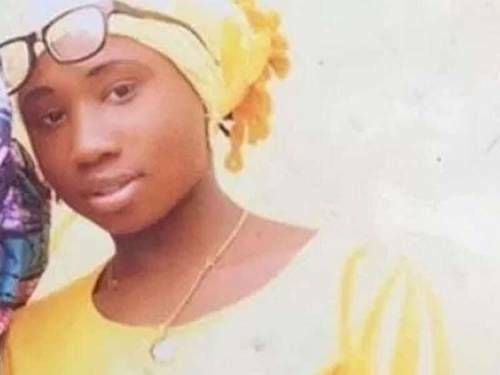 The family of Leah Sharibu who is being held hostage by the Boko Haram sect for refusing to renounce her Christian faith, has appealed to the Federal Government and the international community to rescue their daughter. The mother of the 15-year-old girl, Rebecca, pleaded with President Muhammadu Buhari, the United States and the United Kingdom to do everything in their powers to rescue Leah who was taken hostage alongside some Dapchi schoolgirls in February 2018. Addressing journalists in Abuja on Sunday, Rebecca who spoke through an interpreter, called on the Federal Government to keep the promises made by President Buhari and the ministerial delegation that visited her family in October last year. The grieving mother, who broke down in tears during her speech said, “The government should keep the promises made by the President and the ministers who visited us in Dapchi in October. They should rescue my daughter. The founder of Para-Mallam Foundation, Rev. Gideon Para-Mallam, described Leah as a heroine of faith, stressing that she represented what Nigerians should be. While praying for her release, the cleric wondered why the abduction of Sharibu, the Chibok girls and other hostages was not a campaign issue, noting that he was concerned that none of the presidential candidates talked about their plan to rescue Nigerians in Boko Haram custody. An American teenager, Becca Lubbert, who flew into the country to identify with Leah’s plight, described the Dapchi schoolgirl as an incredible example of standing for one’s faith. Meanwhile, the Federal Government has said the social media report on Leah’s death is fake and a ploy by the opposition to tarnish the administration’s image ahead of the general elections. The Minister of Information and Culture, Alhaji Lai Mohammed, said this at a media briefing on Sunday in Ilorin. He described as ‘absolute fake’ the report that Sharibu had died in captivity. The minister said the rumour of Sharibu’s death, which surfaced just a few days to the presidential election, was another ploy by the opposition to exploit primordial sentiments for political gains ahead of the polls. “They have also decided to inflame passion and make this election a Muslim-Christian affair or North-South affair, but people are not listening to them,” he said. The minister said that ahead of the Monday (today’s) presidential campaign rally in Ilorin, the All Progressives Congress had put everything in place to ensure that President Buhari’s visit was successful.